St Austell Printing Company is welcoming the exciting announcement today that the new St Austell to A30 link road has reached a major milestone. Cornwall Council have today announced that planning permission has been granted for the new 3.9 mile link road, which will join the recently completed improvement at Carluddon with the A30 at Victoria. This will provide better connections for many communities in Cornwall and supporting improvements in employment, housing and regeneration. 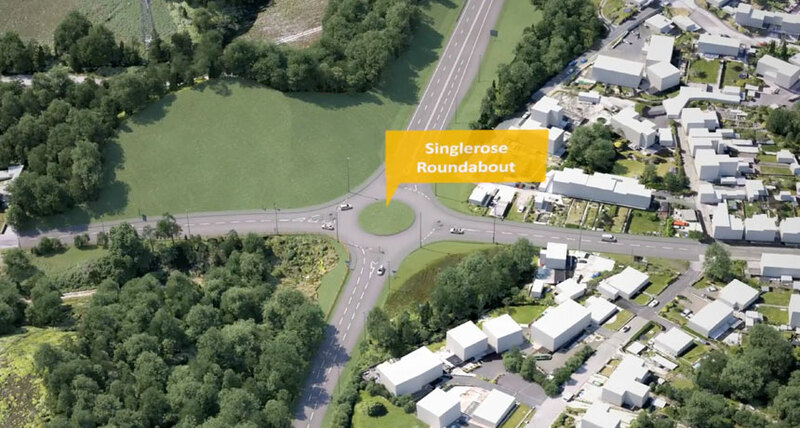 The business case for the new link road was driven by SABEF, the St Austell Business Economic Forum – a group of local businesses that work together to identify and facilitate ways for St Austell to grow and thrive. St Austell Printing Company (SAPC), the parent company of St Austell Conference Centre is a committee member, alongside other local prominent businesses including St Austell Brewery. Peter Moody, SAPC Managing Director and member of the SABEF Management Committee said: “SABEF as an organisation has been instrumental in putting together a business case for this vital link to the A30, enabling new businesses to relocate in St Austell and encourage economic growth in the area. The link road is going to run past St Austell Printing Company’s sustainable factory, which sits next to one of the main routes into the town. This will offer enhanced connectivity and easier access for the large vehicles required to deliver and collect products. SABEF are working with local agencies and organisations to create a “Garden route” along the new link road, filled with wild flowers and exotic plants.